Fabolous Faces Up To 5 Years in Prison, Sub-Posts About Domestic Violence Arrest + Safaree Was Robbed At Gunpoint, But The Culprits Were Caught! While the charges of aggravated assault and making terroristic threats was already known, now we know to what degree. According to Bossip, Fab's facing one count of third-degree aggravated assault and one count of making terroristic threats in the third degree, all based on a complaint the site obtained. Emily said in an affidavit that last month that Fabolous (aka John Jackson) punched her 7 times, resulting in her two front teeth getting knocked out. She also claimed to have received texts from him stating he wanted to kill her. 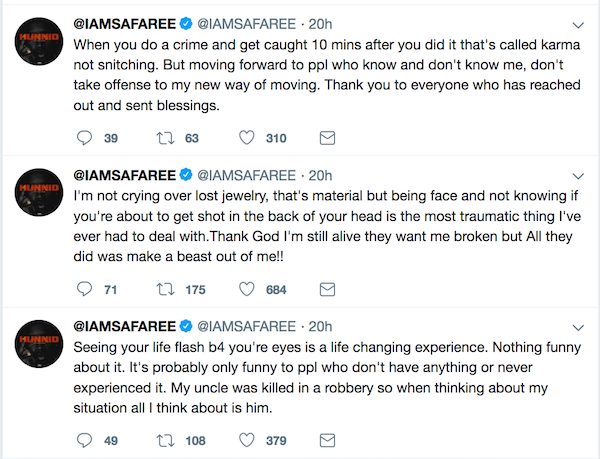 When she called her father and other men in her family to come remove guns from the house she shares with Fab, another confrontation went down. That one was caught on video, along with Fab yielding a sharp weapon-like object. The Bergen County Prosecutor’s Office is trying the case, and if convicted, the rapper faces 3-5 years in state prison. Fabolous is currently out on bond and due in court later in April. This guy.... Fab also seems to be using his time out-on-bail to secure more bags. #Fabolous thanked his fans and #Jadakiss for sticking by him “during this time” last night during a show with several NY rappers at Terminal 5. Over the weekend, he performed at Terminal 5 in NYC with Lil Kim and more, and thanked Jadakiss and the fans for "supporting him" during this time. Oh. 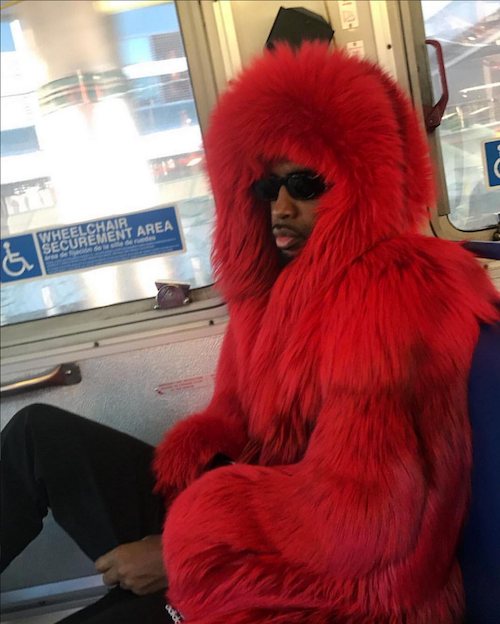 In other rap news, poor Safaree. He got jacked (again)! The "LAHH" star pulled up at Angie Martinez's Power 105 show earlier this week and broke down in tears once he started to talk about being robbed at gunpoint by two men just hours before. He said they would definitely be caught, and they reportedly have. Police got involved, and confirmed he had been robbed for approximately $183K worth of cash and jewelry. Cops chased down the culprits over the George Washington Bridge after they fled from Ft. Lee, NJ where the robbery occurred. TMZ states "at one point the suspects crashed their car and fled on foot." The suspects have been identified as Jonathan Ricketts and Shawn Harewood. "This was not some random stick up attempt, this was an ambush specifically targeting Safaree by several men with guns. The actual facts of what happened are chilling and it is only by the grace of god that this incident did not have a different ending and for that we are extremely grateful."